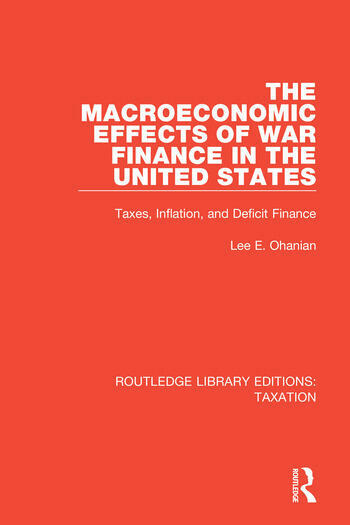 This book, first published in 1998, presents a quantitative investigation of the macroeconomic effects of different fiscal and monetary policies that have been used to finance wars in the US. It examines both positive and normative effects of historical government policies. Lee E. Ohanian is Professor of Economics, University of California, Los Angeles Senior Fellow, Hoover Institution, Stanford University.